Ms. Dalesandro represents clients in a broad array of civil litigation matters. Her extensive experience includes trials, mediations, and arbitrations. Jil has over 25 years of experience in alternative dispute resolution (ADR) processes, including mediation, arbitration, special master, discovery referee, and evaluative neutral work. 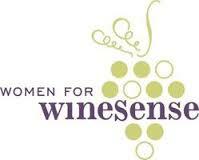 Ms. Dalesandro provides coordinated legal advice and services to clients in all sectors of the wine industry. Jil specializes in litigation, transactional and contract matters, and dispute resolution. Jil has over 27 years of practice experience, in premier Silicon Valley law firms. Her experience, knowledge, and efficiency keep her assistance affordable and practical. Jil’s clients range from individuals to public corporations and private and family-owned businesses. Jil realizes that clients are extremely sensitive about legal costs, and she strives to provide the highest quality legal services in an affordable manner. Jil also understands the stress of legal matters and keeps her clients informed at all times by returning phone calls and emails in a prompt fashion. Above all, Jil believes in the value of practicing law in a straightforward manner that ensures favorable, practical, and efficient outcomes for her clients. Jil looks forward to the privilege of representing you. Jil has practiced in Northern and Central California for over 27 years, and is well-known to the judges and attorneys there. She sits on many committees with both sitting and retired judges and appellate justices, and has worked closely with them for over 20 years to make sure that the courts run efficiently, and lawyers act professionally. Jil is renowned for her honesty, professionalism, courtesy, thoroughness, advocacy, and decisiveness. It is vital to treat your legal matter from a business perspective. Litigation is a burden –both financially and emotionally. From Jil’s perspective, legal disputes are business matters, which must be resolved in as expedient — yet effective — a manner as possible. Jil’s goal is to protect your interests. Jil does this by fashioning the most favorable and timely resolution to your matter, together with you. Whether your dispute is resolved through negotiation, mediation, or litigation, you may rely on Jil’s considerable skill, experience, and problem-solving abilities. Jil emphasizes a creative approach to problem solving, that combines an aggressive strategy that advances and protects what is important to you. She is able to accomplish this by maintaining a constructive and informed dialogue with you, the client, at all times, making certain that together, you go forward as a team. Jil will ensure that you know what is occurring in your matter, thus making it possible for you to make fully informed decisions in your legal matters. By recognizing trial as a last resort – having extensive trial experience in matters that have gone to jury trial, trial by a judge, or hearing before an arbitrator or panel — Jil’s focus is on strongly advocating for you in a manner designed to successfully resolve the matter before trial. Jil makes extensive use of mediation and arbitration (and is a mediator and arbitrator herself), as less expensive and time-consuming alternatives to trials. © 2014 Jil Dalesandro. All rights reserved.